Confession: I never read the Harry Potter series growing up—even though I came of age as J. K. Rowling was poppin’ one book out after another. Part of it was because my parents didn’t let me read the books (yet The Lion, the Witch, and the Wardrobe was fine? hmm…) but another part was my inner hipster mindset that wouldn’t let me deign to read mass-produced fiction. I soon came to my senses and ultimately read the entire series during my first school year working as a language assistant in Spain, and I even signed up for Pottermore.com and got placed in Gryffindor house, thankyouverymuch. Now a fan of the Harry Potter books and movies, I was convinced to visit Portugal’s second-biggest city, Porto, over Easter break not only because everyone I talked to raved about the city but also because of its intimate connection with Rowling herself. Pronounced “POR-too” [ˈpoɾ.tu] (NOT “poor toe,” ahem), this city was home to the author between 1991 and 1993. Writing Harry Potter and the Sorceror’s Philosopher’s Stone in the morning and teaching English in the afternoon and evenings, Rowling spent countless hours in local cafés hammering out what would become one of the biggest bestsellers of all time. 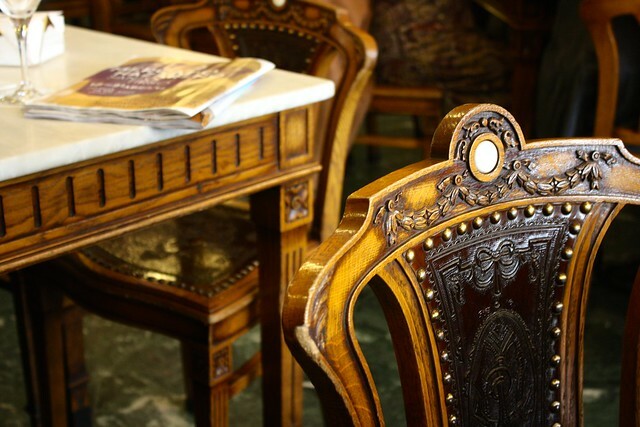 One of those cafés she spent time in was Café Majestic, a fancy Art Nouveau establishment along the grand Rua de Santa Catarina. While tourists keep the outside terrace perpetually full, the interior is a grand, classy hall with white and pastel walls, huge mirrors, and warm wood highlights. Today you can order an afternoon pick-me-up and feel transported back to the 1920s when the thinkers of the day would come here to debate ideas and discuss their works. 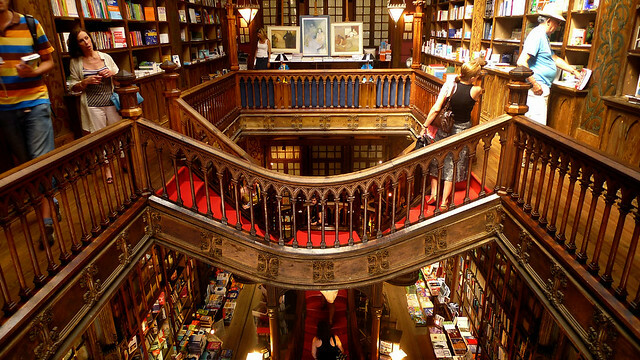 Livraria Lello was another of Rowling’s favorite haunts. This bookstore, situated just across the plaza from the unmistakable Clérigos bell tower, has an ornate, bright white façade that invites you in to its warm, cozy two-story shop. Designed in the Gothic Revival style, the Lello bookstore is covered in stained wooden shelving and the banisters on the upper floor and staircase are decorated with pointy Gothic arches. The swirling staircase alone probably draws half of the visitors: the red-carpeted steps almost seem to take you swing-dancing as they flow organically in and out of themselves from the ground up to the second floor. As tourists tend to mob this functioning bookshop (it’s not a museum! ), photography is prohibited except for one hour in the morning. Rowling enjoyed nursing coffee (or even tea, as a good Briton) on the upper floor’s tiny café you, too, can patronize today. It’s not hard to see how she might have been inspired to incorporate a Grand Staircase in Hogwarts Castle after visiting the Lello bookstore! Speaking of the castle, I was reminded of the murky Great Lake that borders Hogwarts as I walked across the Luiz I Bridge. Built in 1886 by one of Gustave Eiffel’s disciples as a steel arch spanning the Douro River, it’s easy to see the resemblance between it and the Eiffel Tower of Parisian fame. 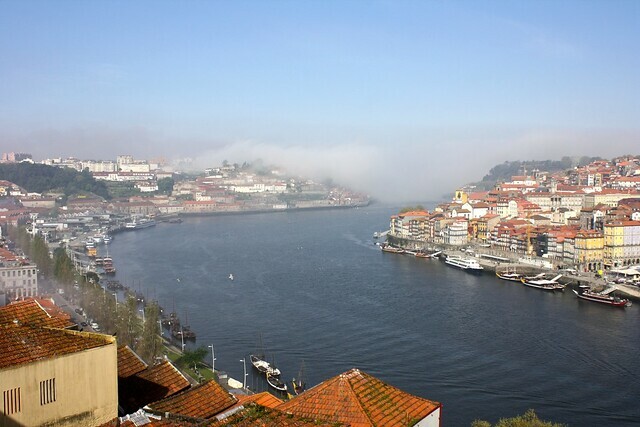 It connects Porto with the city of Vila Nova de Gaia on the other side of the river, which is famous for its dozens of Port wine cellars. The morning I walked across the bridge, fog had drifted in from the Atlantic Ocean, giving the river valley a mysterious, spooky atmosphere. 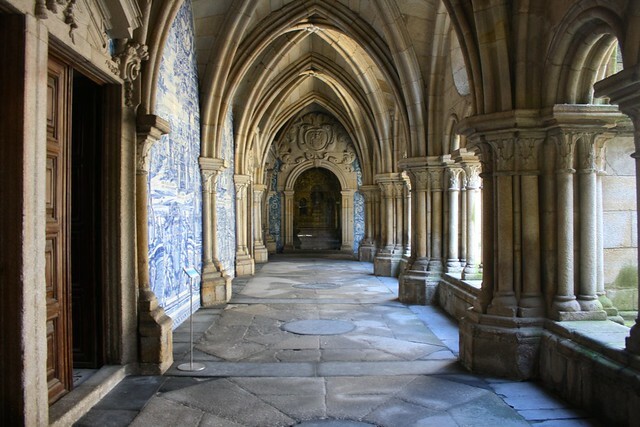 Although many scenes from the Harry Potter movies were filmed in the intricately-detailed cloisters of Gloucester Cathedral in England, Porto’s own Sé Cathedral has some fine cloisters of its own. Designed in the Gothic style, the plain vaultings don’t have the eye-popping fan vaults you can find in English Gothic churches, but as you wander around all four sides of this serene courtyard, you can almost imagine Professor Snape regarding you with disapproval from the shadows or Professor McGonagall walking to class in flowing tartan robes. 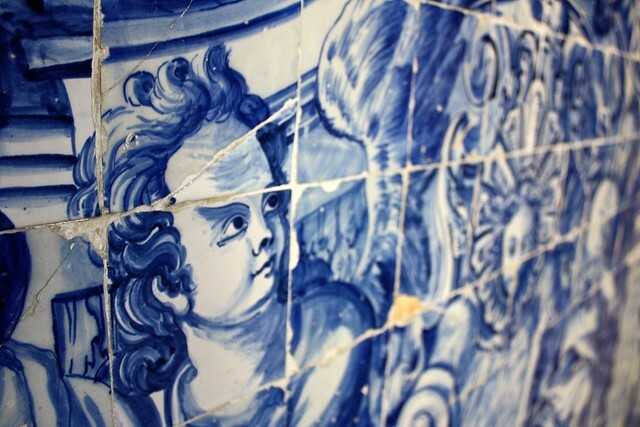 One of the most beautiful aspects of Portuguese culture is the country’s 500-year tradition of painted tiles called azulejos. Pronounced “ah-zoo-LAY-zhoosh” [ɐ.zuˈle.ʒuʃ], these tiles add splashes of color to otherwise-crumbling houses in the city’s old town, and hand-painted blue-and-white ones are basically used as wallpaper for churches everywhere in Portugal—which contrasts nicely with the typical granite stone. The cathedral’s cloisters are just one of many places you can admire these works of art, and you’d be forgiven for thinking the subjects’ eyes followed you around or that the lifelike depictions of saints and cherub babies were really alive—à la the moving portraits of the Harry Potter universe. 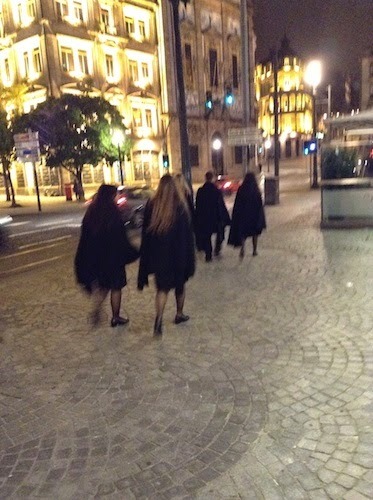 The traditional uniform for students who attend the University of Porto looks something taken right out of a page from Harry Potter, but in fact the truth is exactly the reverse. While living here as an English teacher, Rowling probably had many encounters with local students, who often wear a classy getup of black pants or skirts paired with long, knee-length capes draped around their shoulders. I don’t know the specifics of this uniform—if it’s a freshman “initiation” thing or just a tradition you can subscribe to if you like—but safe to say I secretly hoped the Portuguese I heard these college kids speaking was actually magical incantations. My pilgrimage of sorts to find anything and everything Harry Potter-related in Porto often took me through the city’s old town. Too many of Europe’s great old quarters that have managed to endure centuries of war, industrialization, and modernization often look too pretty, restored and cleaned up with funds from tourist taxes. Not so in Porto, where beautiful neglect has taken over: some houses could use a fresh coat of paint, a glossy tile is missing here or there, laundry dries shamelessly from street-facing windows, and street art shares wall space with yellow arrows that mark the Portuguese Way of the Camino de Santiago. 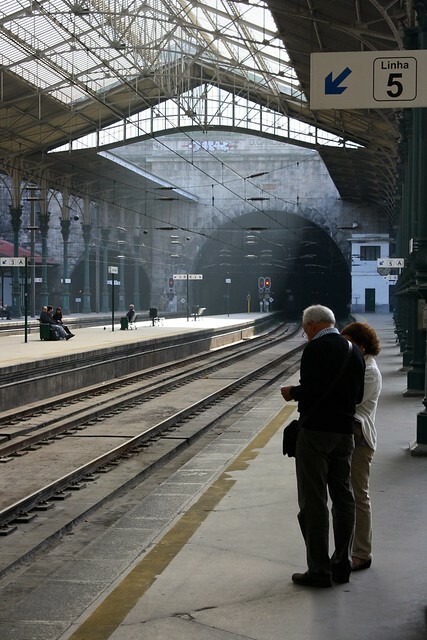 Porto’s charming old town felt a little run down…but in a good way. These hilly streets and shaded alleyways made me wish one of them was named Rua de Diagon Alley. Perhaps Hagrid was waiting to show me where I could pick up a pet owl of my own, maybe one of the old-man bars secretly had butterbeer on tap instead of Super Bock, and for all I know, Hogwarts: A History was laying on one of the shelves in a corner bookstore. Granted, England and Scotland are home to the lion’s share of Harry Potter-themed tourist sites; after all, the books were set in Britain and most on-set locations were filmed there, too. 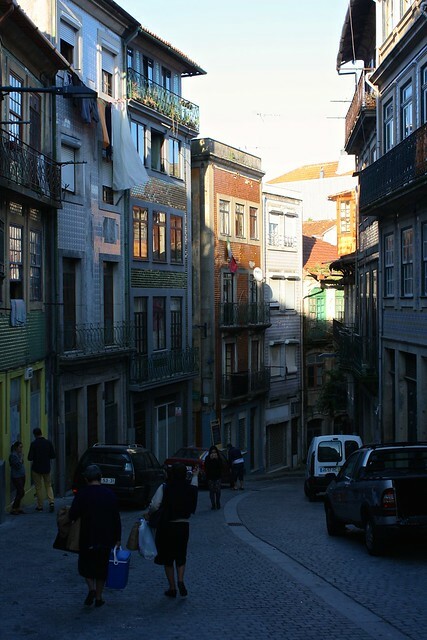 But Porto isn’t often mentioned as a formative place for the author of the books many of us have come to know and love. It’s clear that this city left a great impression on Rowling, and if you look hard enough, you can find a little bit of her beloved books in this beautiful city. 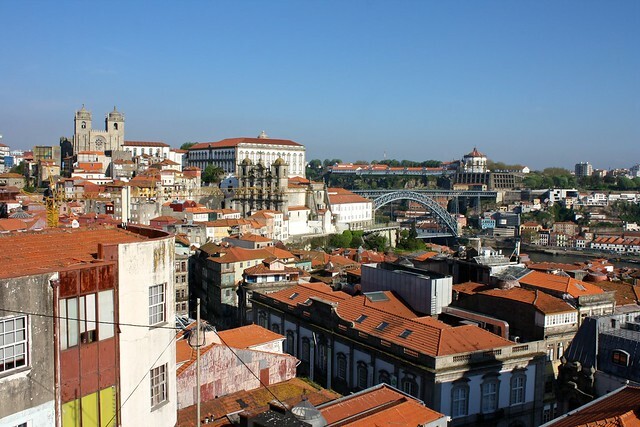 Have you ever been to Porto before? Where else in Europe can you go on a Harry Potter “nerd” pilgrimage? Let me know below in the comments!